We all face problems in life. Doubt, fear, worry, and negative emotions, act as fuel, to keep the challenges alive. Complaining, steals our ability to fight. However, when we turn our focus to God, with an attitude of praise, worship, and rejoicing, the issues cannot consume and grip us. View the negative circumstances, as an opportunity to overcome and become stronger. Worship God, in the midst of the storm. Don’t wait for Sunday but praise God immediately, focusing on him, not the problem. God wants to give you the strategy and resources from heaven to overcome. Jesus told us to pray, “Father, your will be done on earth, as it is in heaven.” (Matthew 6:10) There is no lack in heaven and God delights to give to you abundantly, whatever you need. Thanksgiving gives us energy, strategy and resources. from heaven for victorious abundant life! Ancient Judah was faced with huge enemy army and a prophet gave them this strategy. He said, “Listen, all you people of Judah and Jerusalem! Listen, King Jehoshaphat! This is what the LORD says: Do not be afraid! Don’t be discouraged by this mighty army, for the battle is not yours, but God’s. 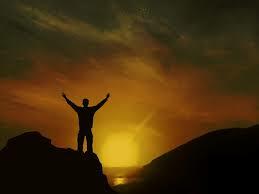 (2 Chronicles 20:15 NLT) Then the people worshipped and praised God and God supernaturally defeated their enemies. What he did for them, he will do for you! “God wants to give you the strategy and resources from heaven to overcome.”…..so true! Yes, God is more generous than we can comprehend! Powerful and very true. Thanks so much for the encouragement and God bless you! Abundant blessings flowing you from God’s throne! You’re most welcome! Glory be to God! The Joy of the Lord is Our Strength!!! Great Post! The glory belongs to God! Thank you!